So, we had to put together a photo-roster w/ all of your lovely mugshots for the Portland race, so while collecting, I figured, hey, lets put together a collage! 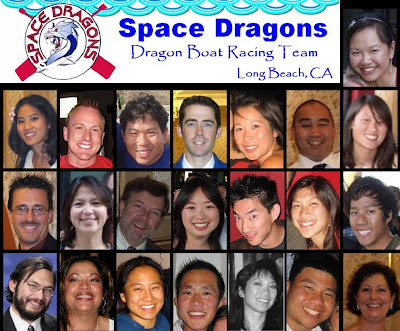 So, without further ado ... introducing the 2008 Portland Rose Festival Space Dragons! The race is just ~23 days away! Practice as much as possible (w/ your wood paddles)! See Denise to sign your waiver & photo roster card ASAP! For the many that are NOT making the trek up to Portland - keeping coming out to practice! We will be preparing for Big LB & SF as well!